A new promo image for next year's Mega Man cartoon has surfaced online. It's not much but it's something to chew on until the next big info dump. 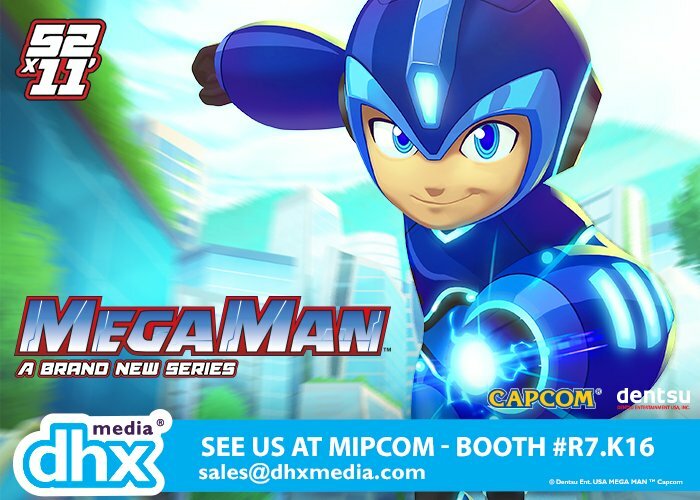 According to the image, Mega Man will have a presence at MIPCOM, an annual tradeshow in Cannes beginning October 16th. 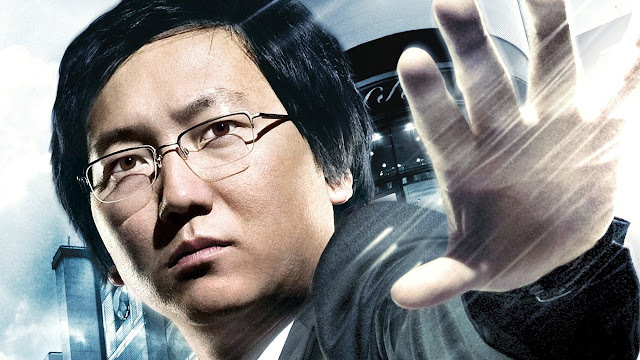 What's more, the image further confirms the show's planned 52x11' format (52 episode, 11-minutes each). This suggests the program will follow a two-episodes-per-show format when it airs on Cartoon Network next year. And that's about all that can be said for now. Maybe we'll learn more by MIPCOM? Sentinel's Star Force Mega Man 4Inch-Nel is now available! To mark the occasion, series character designer Tokiko Nakashima whipped up the above piece. 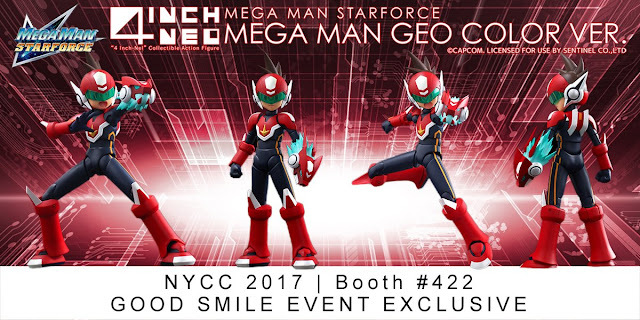 And, man, is it ever good to see brand-new Star Force art. I've always loved Nakashima's stuff, Star Force 3 in particular. There IS a mobile wallpaper version of this up on the Rockman Unity app. We should have those ripped for you relatively soon. UPDATE: And here they are! Bad Mega Man Volnutt, Hanayashiki Style Mega Man.EXE Coming to NYCC, Too! Now this is a pleasant surprise. 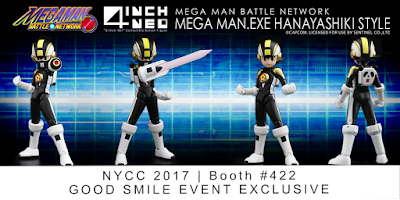 Hot on the heels of the 4Inch-Nel Geo variant, Good Smile announced Bad Mega Man Volnutt and the Hanayashiki Style Mega Man.EXE variants will be available to purchase exclusively at New York Comic-Con. Supply will be limited so get your keister over to booth #422 ASAP (on October 5th). 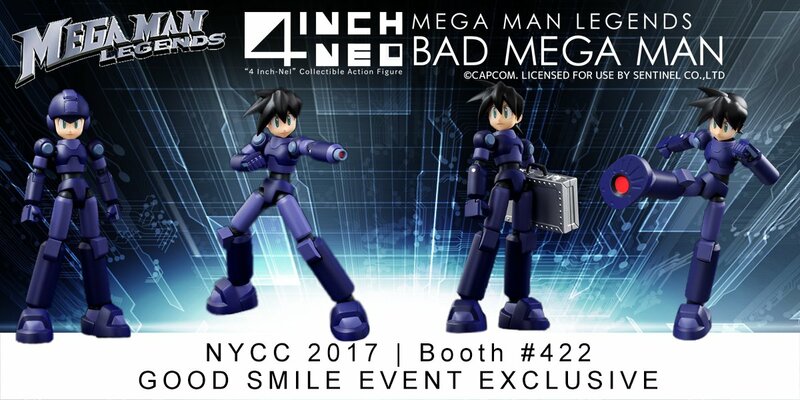 In all, that's three exclusive Mega Man 4Inch-Nels. Yeah; you're gonna need to bring some extra zenny. UPDATE: And that's a wrap. The panel was, for the most part, the same as last Thursday's. No new announcements. 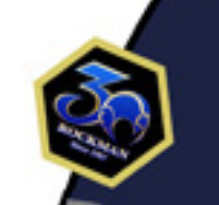 In just a few short hours the Mega Man 30th anniversary panel will take place at the Tokyo Game Show. 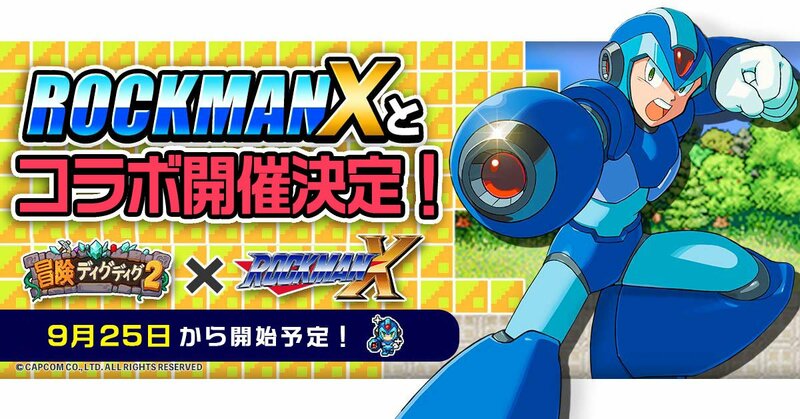 The panel runs from 14:20 to 15:05 JST followed by a ten minute "Rockman Studio Talk" session from 15:05 to 15:15 JST. To find out what time that is in your neck of the woods, simply plug 14:20 JST in Google + your timezone. According to Capcom, the panel will look back at past Mega Man titles and deliver the latest news on the 30th anniversary. Mega Man Legacy Collection 2 producer Kazuhiro Tsuchiya will be on-stage with guests America Zarigani, Chocolat Ikeda, and Ayana. The 9/22 press only panel, which only ran for 20 minutes, delivered a new Roll design for 2018 and some merchandise. Tonight's panel may be more of the same – then again, maybe not. We'll see. Anything newsworthy will be made into its own post above this one. Stay tuned and remember: no expectations, no disappointments. If you plan on attending this year's New York Comic-Con, you might want to swing by Good Smile Co.'s booth (#422). Word on the street is the red Geo Stellar 4Inch-Nel variant will be on sale! 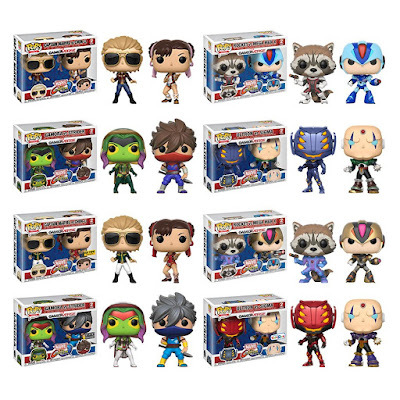 It's a con exclusive (for the time being) so you better believe supply will be limited. Bring money – I can't stress that enough. NYCC 2017 kicks off October 5th at the Javits Center. Head over here for more info! Roll Gets a New Design for 2018 Nendoroid Figure... and Maybe More? Roll is getting a brand-new look for a mysterious figure. Announced during the preview version of the Tokyo Game Show Rockman 30th anniversary panel, this new design will be turned into a Nendoroid by Good Smile in 2018. It's currently dubbed "30th anniversary Roll." That's all well and good, sure, but something else might be going on here. Attendees and fans on Twitter find it highly suspect this new design is *just* for a figure. Nendoroids are traditionally based on pre-existing character designs – nothing has been created from scratch. 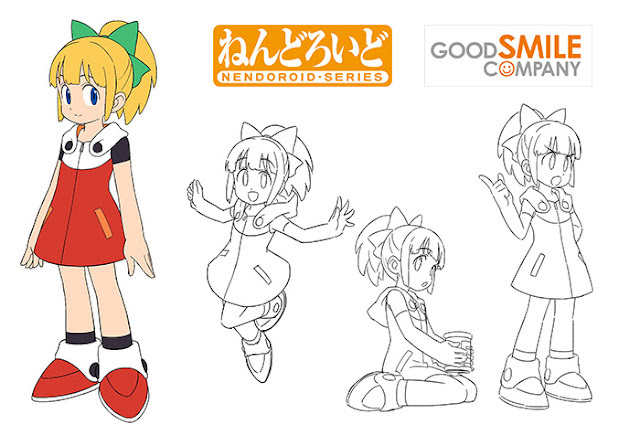 Also, wouldn't Nendoroid concept art have Nendo-like proportions? Unless Roll intends to break tradition, speculation says this design could belong to something more – much more. 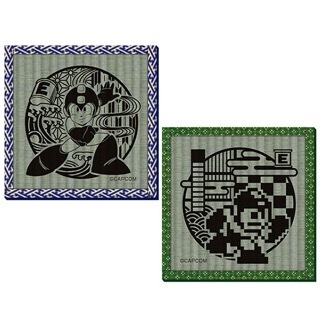 At first glance, I immediately drew comparisons to that new, out-of-place concept art in Mega Man Legacy Collection 2. 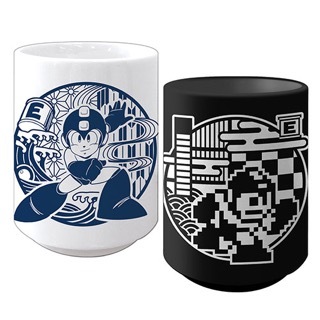 Style-wise, Roll and Mega Man here are pretty similar. Interesting stuff. Very interesting. Needless to say, I'll be keeping tabs on this. 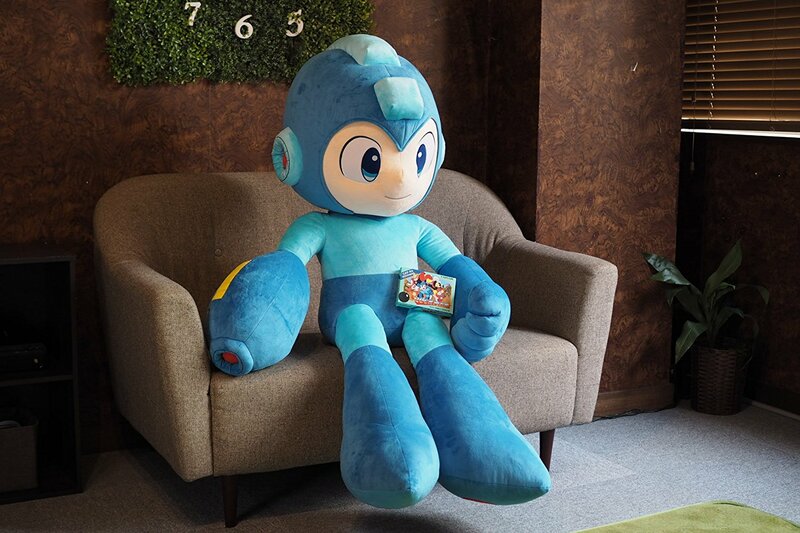 Say hello to the official life-size Mega Man plush. This 4.3-foot monstrosity was spotted at Amazon Japan with a December 24th release date. 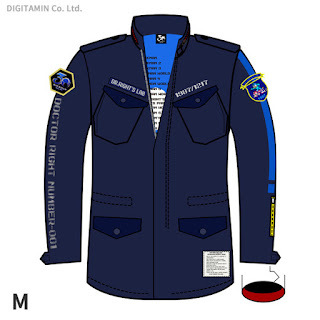 It'll set you back a hefty 32,400 yen (roughly $288.19 US). Whether you intend to buy it or not, you gotta see the additional images below. It's ridiculous. Hot on the heels of X comes the red crusader's official Marvel vs. Capcom: Infinite tutorial video. This segment shows you how to make the most of Zero's diverse moveset, from basics to advanced combos. Be sure to jack the volume way up too – his theme is kickin'. 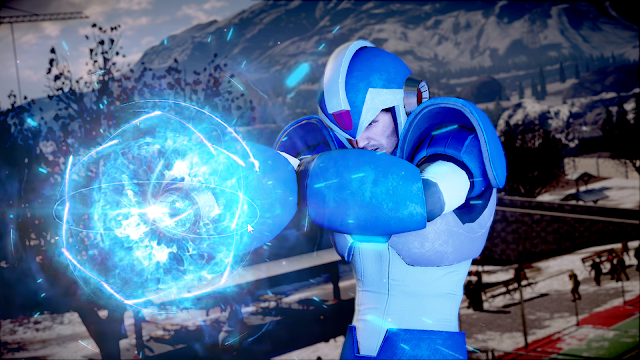 Marvel vs. Capcom: Infinite launches on PlayStation 4, Xbox One and PC on September 19. It's worth pointing out X is wearing his TruForce "Ver. Ke" gear in both packs. Oddly enough that isn't a costume in the game – yet. Future DLC, maybe? Regardless, these actually don't look too shabby (my relationship with Pops are strained at best). Again, you'll find these in-stores and online in November. Stay tuned for pre-orders. 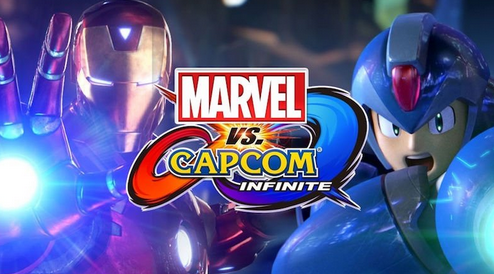 Marvel vs. Capcom: Infinite's September 19th release date is almost upon us. To get you ready for the occasion, Capcom have begun posting official tutorial videos for all 30 playable characters at launch. The videos will be dropping in clusters over the next few days, but to get you started, here's everything you need to know about our boy X. Keep your eyes peeled to the official MvCI YouTube channel for more! A new wallpaper is up via the Rockman Unity app. This month's piece drawn by Mita Chisato is a lively Battle Network reunion among friends and rivals alike. Check it out after the break! 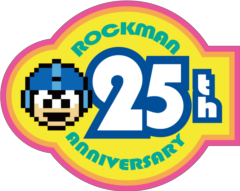 "[September 24] 14:20 to 15:05 – Mega Man‘s 30th Anniversary is Almost Here! 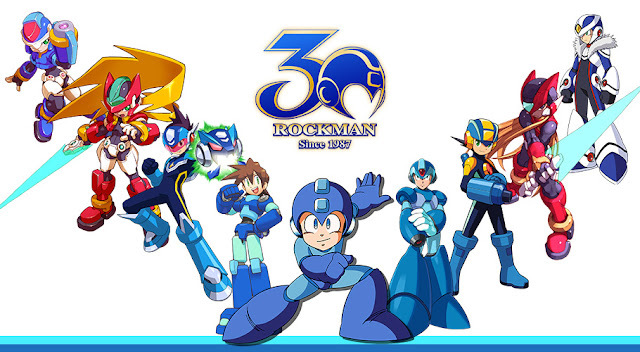 Stage – In December, the Mega Man series will reach its 30th anniversary. As we look towards the nearly here memorial year, we’ll look back on the Mega Man titles released so far and deliver the latest 30th anniversary celebration information. Featuring Kazuhiro Tsuchiya (producer) and guests America Zarigani, Chocolat Ikeda, and Ayana." UPDATE: The panel will be lived stream via Nico Nico. Bookmark this page! As intriguing as all this sounds, be mindful of your expectations. But, man, would this every be a good opportunity to show off something new. We shall see! I had to be really careful with that title. I tried my best. Anyway, the folks at Rockman Lab – the same team that are bringing us "Mega Man ZX Prequel" – are in the midst of developing a fan-made Mega Man Zero 5. 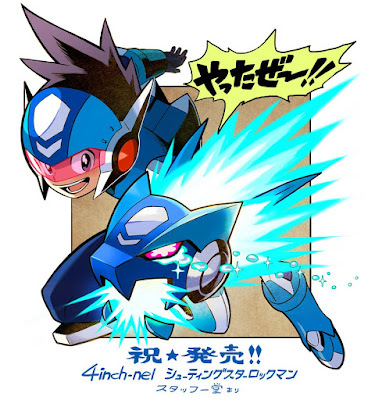 The project aims to be an authentic, hypothetical fifth entry in the Zero series. It will feature a new story, original stages, enemies and music. It's been in development since 2012 but today we have our first actual look at the fan-game in action. Check out the first preview trailer above. 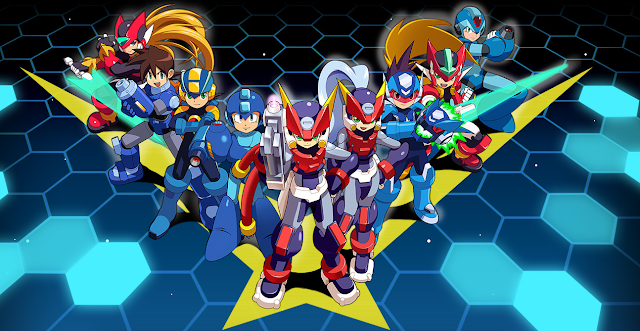 Regular updates and more information can be found at Rockman Lab's official Z5 hub here. I'm really looking forward to getting my hands on this. More Zero is always a good thing. Are you still working on producing a Mega Man movie? OKA: We’ve just started the Mega Man movie. The writer/directors are working on a script right now, and we’re just in the beginning development stages of that. What are you most excited about with that, and are there challenges specific to producing a story that’s based on a best-selling video game vs. a hugely popular manga? OKA: With manga, there’s a lot of character development and it’s a serialized story. With a video game, it’s about game mechanics. The story might be a little bit lighter. There are definitely challenges with that, but I’m excited because our directors are big fans of the game. With anything animated, a game property, or anything IP, you want to make sure the filmmakers are huge fans because they’ll show a respect for the property and understand, at the core, what makes that property great. I don’t know where it’s going to go yet, but I am excited about Henry Joost and Ariel Schulman. They’re great filmmakers and they’re really big fans of Mega Man. So something of note here: Oka pretty much confirmed Henry Joost and Ariel Schulman are writing and directing. In July it was said they were in "final negotiations". Nothing was set in stone then but it sounds like they're officially on board now. Joost and Schulman, for the uninitiated, are the team behind Catfish and Paranormal Activity 3 and Paranormal Activity 4. Needless to say, I'll be following the film's development closely. Stay tuned. Dead Rising 4's timed-exclusivity on Microsoft platforms has come to an end. Capcom today announced Dead Rising 4: Frank's Big Package for PlayStation 4. It's a souped-up, special edition of the game with new content. Among these extras is "Capcom Heroes" mode, which is described as "an all-new way to experience the Dead Rising 4 story that lets our hero Frank West wear over a dozen outfits and perform outrageous special attacks inspired by classic Capcom characters. 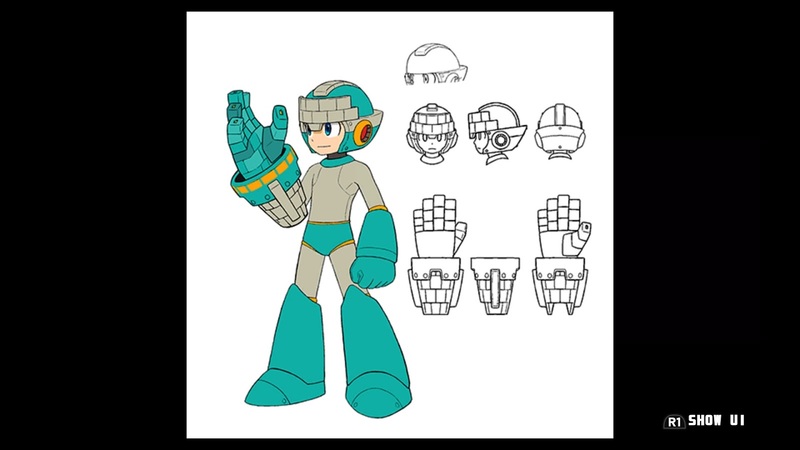 "As you can see, players will have the opportunity to dress Frank up as Mega Man X – a Dead Rising tradition which was oddly absent from the original DR4. Although Frank's Big Package is exclusive to PS4, the Capcom Heroes mode will be available as a free download on Xbox One and PC when the game launches on December 7th. 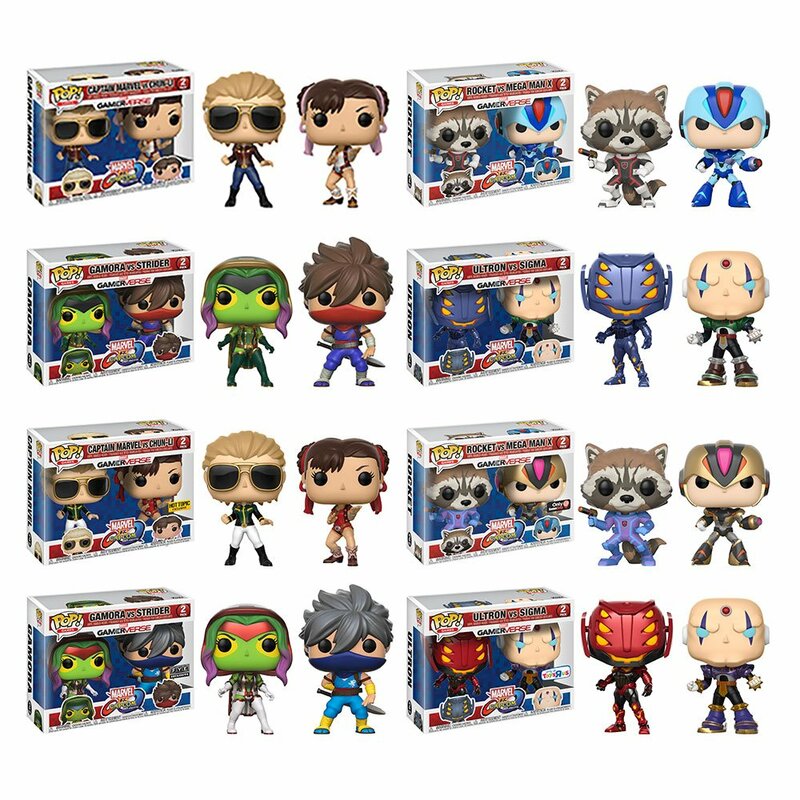 Head over to Capcom Unity for further details.